Art, travel and the Indian subcontinent. 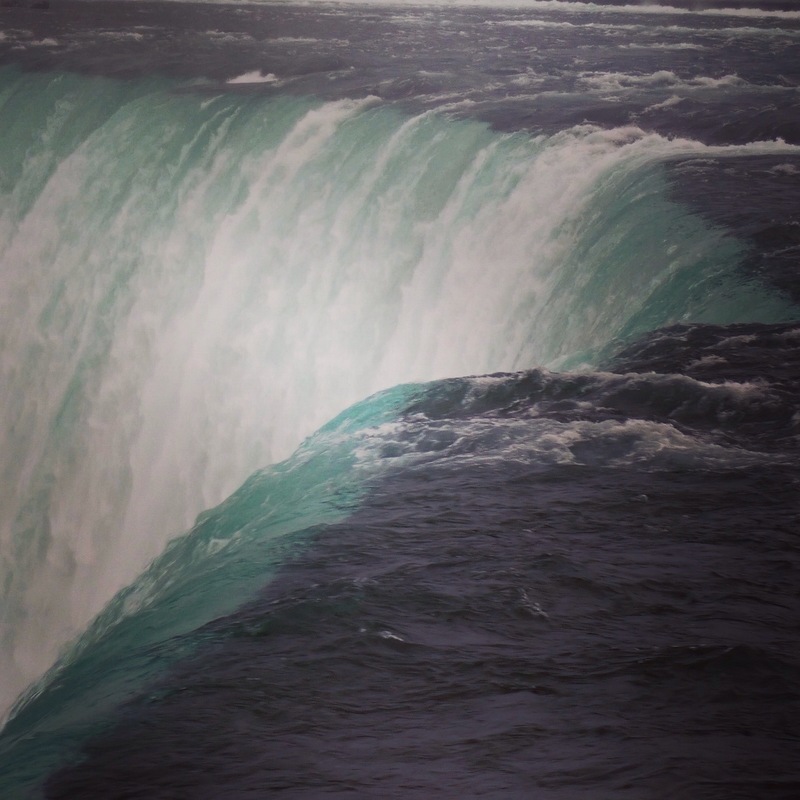 Looking down from the top of the horseshoe falls on the Canadian side, that turquoise water that forms on the edge is stunningly beautiful. From this angle the power and the force of this water is unmistakeable. 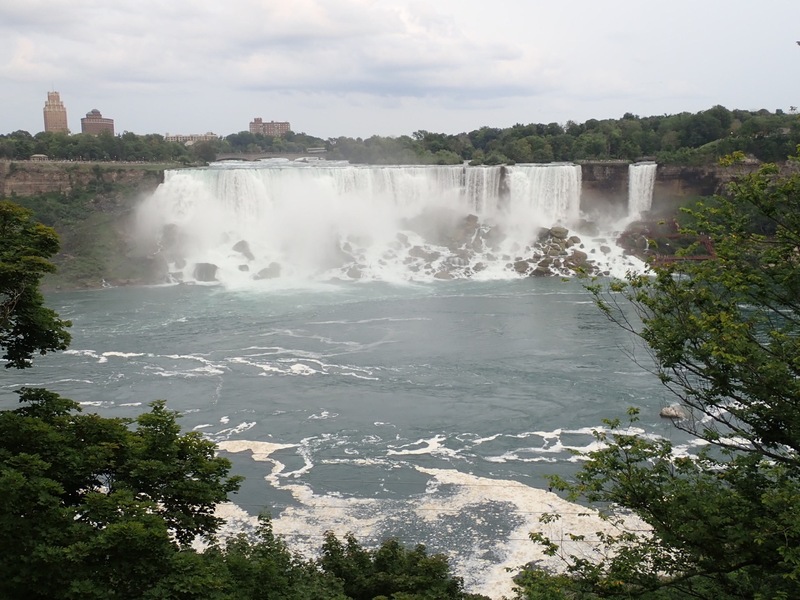 I do believe the view from Canada is the best – you can view the American falls from directly across and walk from there to the Canadian horseshoe falls. The night before traveling to Niagara was not a good one. My husband holds a green card and he was worried about crossing the border. He had dreams of border checks and helicopters flying overhead. We argued and he barely slept. With the current American political climate I don’t blame him. Nightmare accounts of separated families and body searches are all over the news. I grew up thinking the U.S. and Canada were practically the same country -how did we get to the point where we we’re nervous crossing a bridge into Canada? Is it possible to turn around and go back if you cross the bridge by mistake? Once we crossed the border we no longer worried about getting back into the U.S. 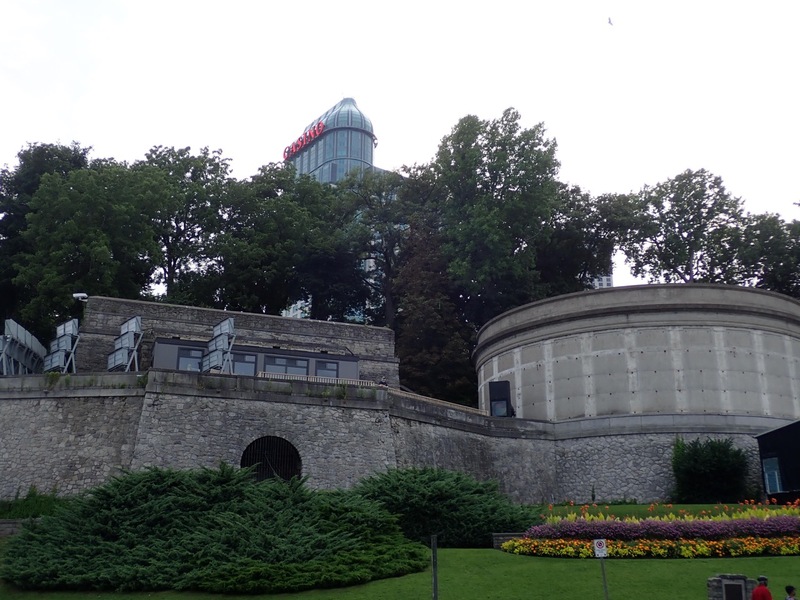 The Canadian side is built up, with noisy restaurants, haunted houses, wax museums, go carts and Ferris wheels. We walked through a Hard Rock Cafe and Rainforest Cafe arcade to find a bar with free beer samplers. I don’t even go to those places in Chicago. Afterwards we found an Indian restaurant that was quiet and the food was good. Then as we walked along the falls, we realized how nice the view from this side is. There were lots of people, but the strip of walkway lined with gardens was so big, it never felt very crowded. 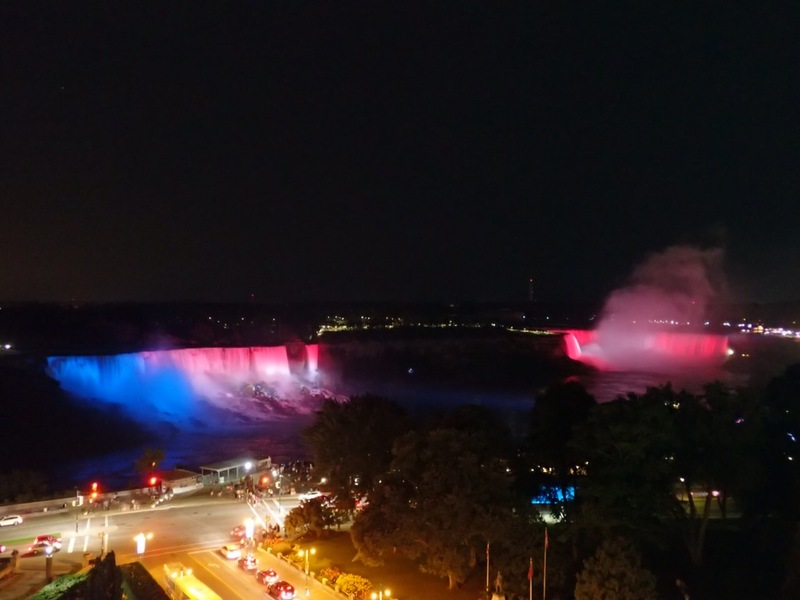 We walked for hours, then we retired to our room at the Sheraton, where we had a perfect view of the falls and watched the fireworks. Early the next morning we left for Chicago, driving on the Canadian side to Detroit. It was smooth sailing the whole way – much better than driving through Ohio. And though the border guards are far from cheerful, we didn’t have any problems. Oh and we had to pay five bucks to get back in. What a rip off!